We offer three packages, designed to make wedding videography accessible for everyone. We also offer a range of extra features, listed below. ​We're always happy to discuss a custom package, please contact us to discuss your requirements. All day coverage capturing every moment of your special day. Coverage of proceedings from guests arriving through until the speeches. Coverage that captures the first part of your day. 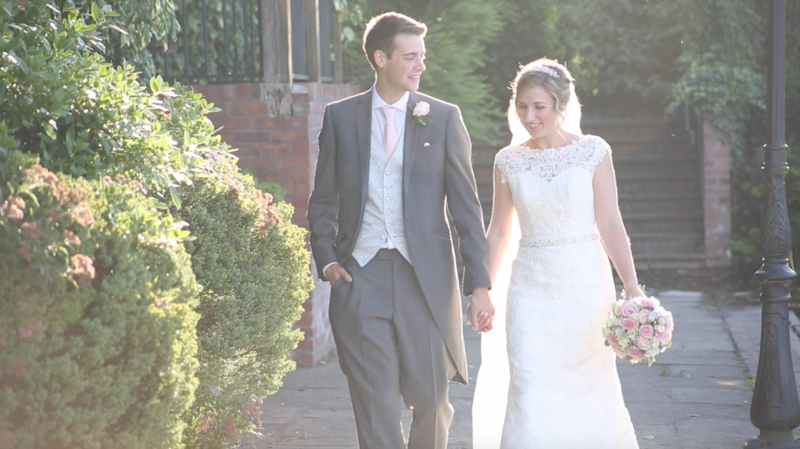 We offer a range of extra features, designed to further enhance your wedding video package. Please contact us to discuss any additional options not listed here. Guest messages: £100 (filmed after the first dance and edited into a separate package of 4-8 minutes). Drone footage: £300 (subject to weather, location and availability). Extra DVD copies: £15 (per copy plus postage). Extra USB copies: £20 (per copy plus postage). Highlights edit: £75 (for packages Two or One, included in Package Three). ​Extra filming time: £50 (per hour, applicable from the end of the first dance). Second operator: £300 (only available with Package Three and subject to availability).